Yes, I’m not just frugal, I tend to be a real cheapskate! I got that from my paternal grandma, who keeps every plastic fork from take away food and unwraps presents gently to iron and reuse the wrapping paper. 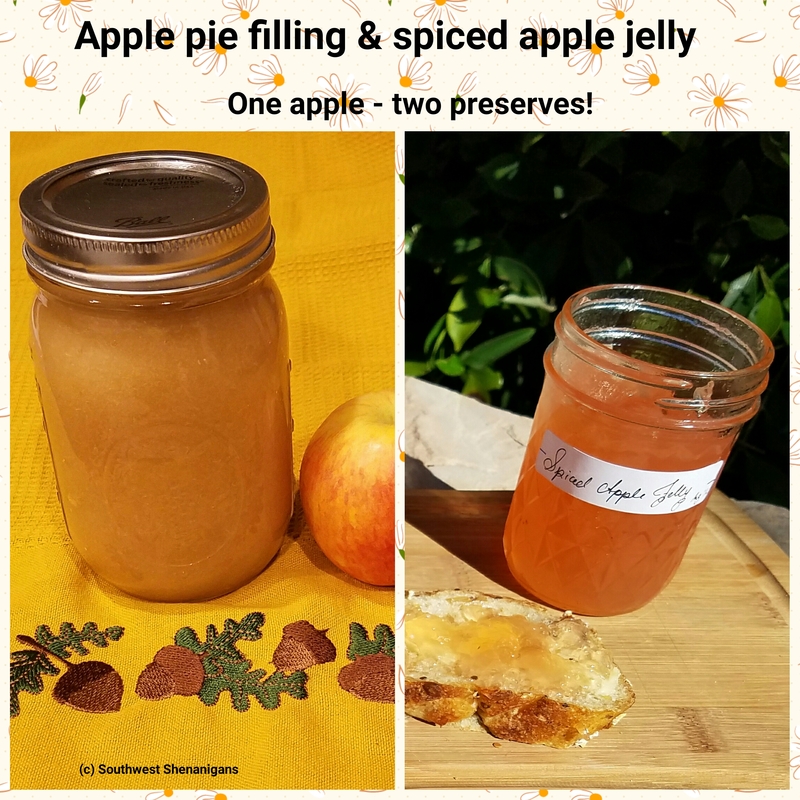 So when we found a couple pounds of delicious apples for a good price I made it my challenge to make two different preserves with one recipe. And it turned out well! Frugality success, yeah! Core and cube the apples. Cook with the water for about 30 minutes. Mash with a potato masher. Strain through a fine sieve. You should get about 4 cups of juice. It will look a little cloudy but the jelly will turn out pretty clear. Keep the fruit pulp for the apple pie filling. Cook the juice with 2 cups of sugar and the spices for 20 minutes, strain out spices. Put back on the heat and add pectin according to instructions on the package (I used 1 pack of Kraft Sure-Jell). Jelly test: take a tablespoon full of jelly from the pot, pour on cold plate, put into the fridge. If it jellies after a few minutes, the jelly is ready to be jarred. Pour jelly into jars, process in hot water bath for 10 minutes. and the remaining 1/2 cup sugar for about 10 minutes. Spoon into jars, process in hot water bath for 10 minutes. You will get 4 x 1/2 pint jars of jelly and 3 x 1 pint jars of apple filling. 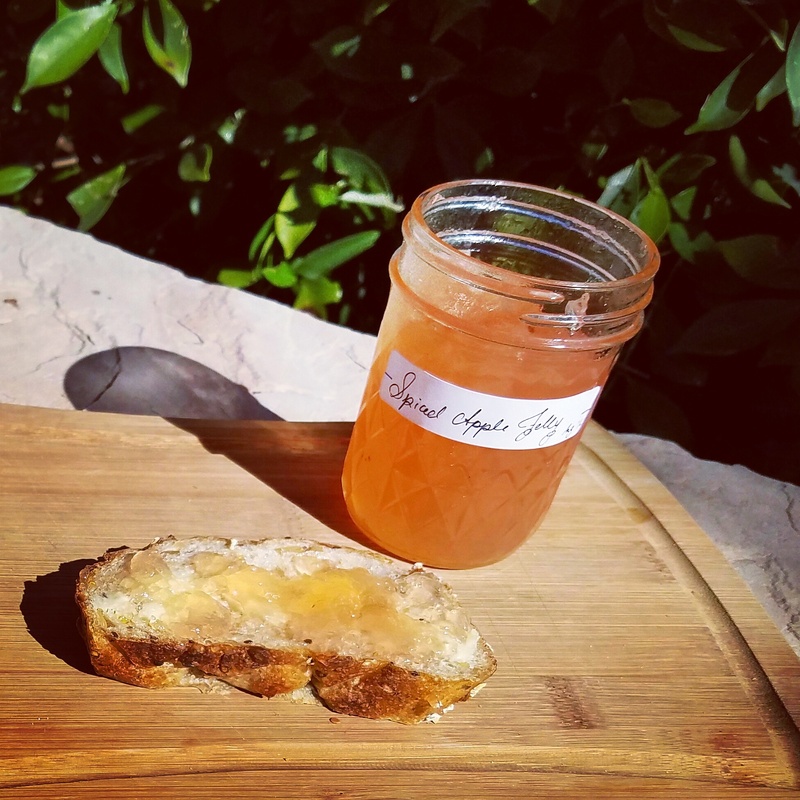 The apple jelly is best enjoyed on a slice of buttered bread, or used to make a special peanut butter and jelly sandwich. The apple filling, mixed with some cubes of fresh apple, is of course perfect to fill pies, but also tastes great on pancakes, ice cream, or served with some whipped cream. 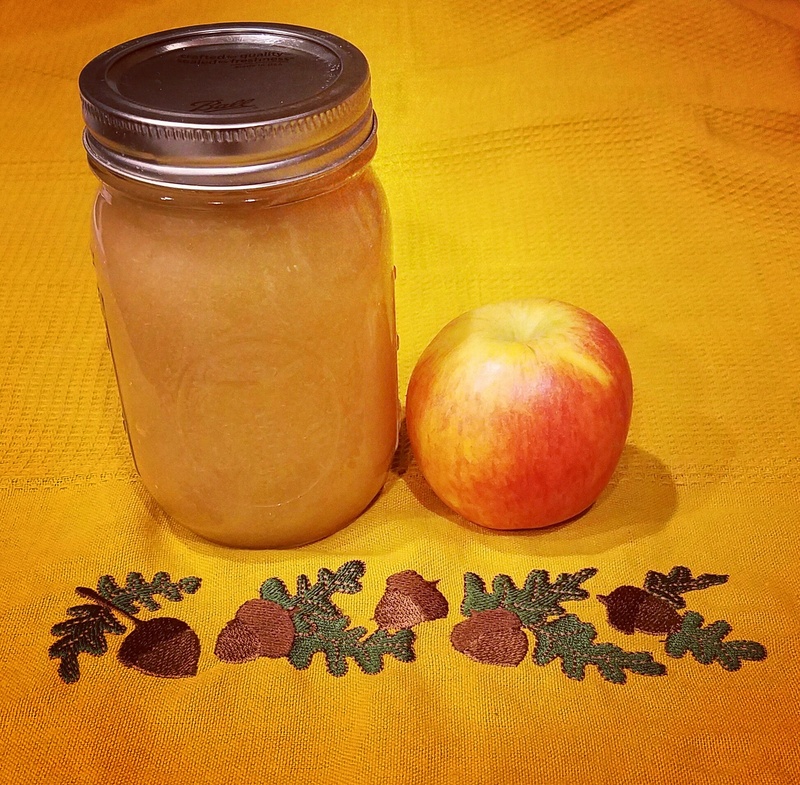 What are your frugal canning secrets?